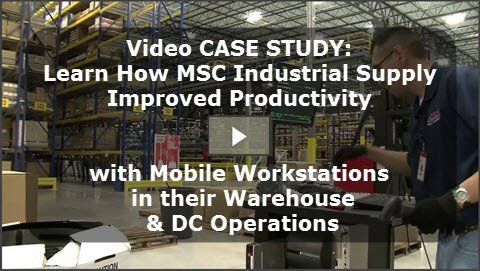 Watch video above to see how easy mobile power can be integrated into your receiving process. 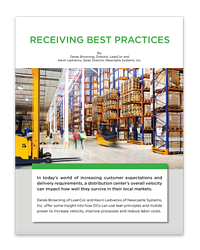 3PL realizes effectiveness of mobile powered receiving cart in fulfilment center. Newcastle Systems mobile powered carts help to speed the distribution process of the world's largest humanitarian medical aid company. 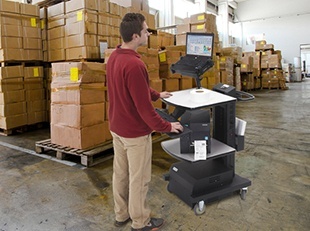 Operations with mobile workstations improve speed, capacity, infrastructure costs and employee productivity. 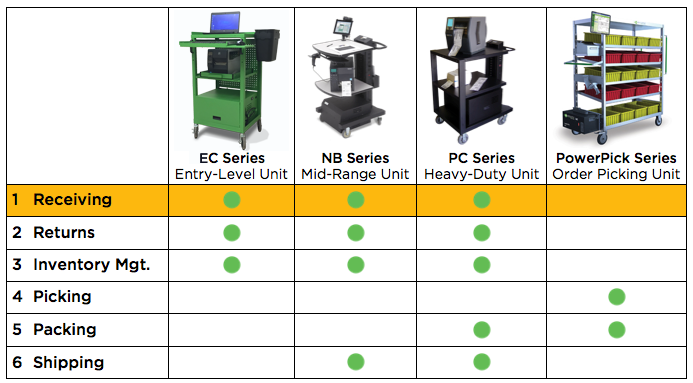 New mobile carts with integrated power make receiving more efficient at industrial supplier MSC.